When would you like to stay at YHA Portreath? Enjoy easy access to stunning beaches, bluebell woods and the coastal path when you take a family break at this converted barn. Ideal for all traveller types, the barn is in the grounds of a Grade II listed manor house, with a wooded valley trail to the lovely Portreath Beach. Relax and enjoy a picnic outside on the patio. There are miles of coastline to explore on a walking and cycling holiday and it's a great location for activity breaks or a watersports holiday. The hostel has four en-suite rooms – 3-bedded (double with single over), 4-bedded (double with single over and another single), 6-bedded (double with single over, bunk beds and another single), and 8-bedded dorm (3 bunks and 2 single). The hostel is self-catering only but the kitchen is very well equipped with 12 hobs, 2 sinks, cooker, fridge, microwave and everything else you need to cook up a feast. 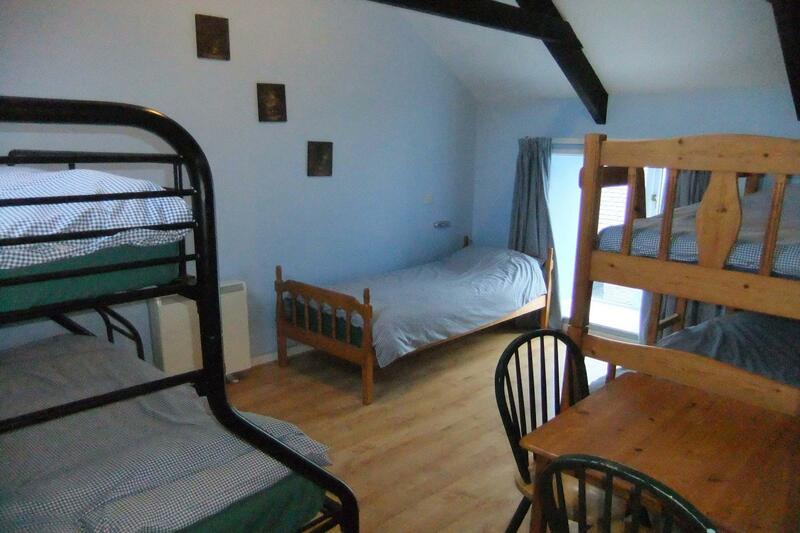 There is a large games room with table-tennis and a large screen TV, drying room, patio area and large free car park. There are pubs, Chinese and fish and chip shops within walking distance. There is a convenience store and Post Office in the village. Pets: As this is a working farm, we regret that no dogs are allowed. Assistance dogs are welcome. Open every day: The hostel is closed when no-one is booked in, especially in winter. Mary, a retired teacher, is the manager assisted by husband Arthur when he is not too busy farming. Manager recommends:Enjoy a lovely walk through the woods to the beach and the coastal footpath in either direction.